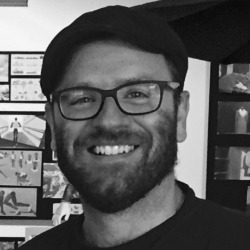 Jason is a senior animator at Reel Fx Animation Studio with 9 plus years of professional experience in feature animation, short films, television, commercials, multimedia and games. He has worked on a variety of storytelling platforms mixed with a variety of animation styles at studios such as Moonbot Studios, Sony Pictures Imageworks, Rhythm & Hues, and ImageMovers Digital. Throughout his career, he has worked on feature titles such as Hotel Transylvania, Sherlock Gnomes, and Alvin and the Chipmunks 3: Chip-Wrecked, as well as short films such as The Scarecrow, Son of Jaguar, The Boy Who Learned to Fly and the Best Fiends Shorts. He is currently working on pre-production for Scooby Doo.